Join our small group classes to receive more individual attention with the camaraderie of others! Our trainers will guide you on this journey in a safe and fun atmosphere. Discover Small Group Training for a fresh, motivating exercise experience that delivers results you can see. SMALL GROUP Classes are designed to fit around your schedule. This program will be instructed by an experienced certified personal trainer to accommodate all fitness levels. This program will help you to build a solid foundation of strength training. This program will be instructed by a Certified Personal Trainer to accommodate all fitness levels. This program will help your child build a solid foundation of strength training. The program will include cardio conditioning, cycling, and strength training. 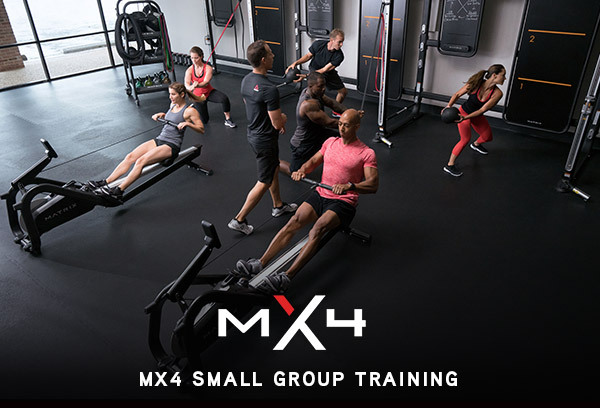 Featuring best-in-class training tools and original workouts from Matrix Fitness, our trainers are ready! 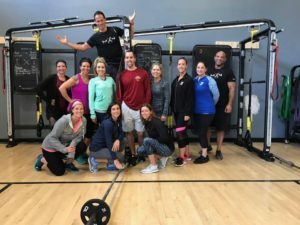 The new program is open to people of all fitness levels who want to improve their cardio, power, strength and endurance in a motivating environment that provides equal parts camaraderie and accountability. MX4 Small Group Training combines a variety of unique training tools including a functional training system, a rower, slam balls, and TRX suspension training system to help everyone from beginners to elite athletes maximize their results. Diverse, progressive workouts keep sessions fresh and engaging while helping members improve every aspect of their fitness. Since each session is limited to 8 participants, members can count on plenty of one-on-one time with a trainer who will help tailor the program and exercises to their ability levels and goals. This one hour strength and cardiovascular workout will include a variety of training styles utilizing Keiser bikes, track, kettlebells, weights, resistance bands and much more. Small Group Medicine Ball POWER is needed in various sports and activities, and the medicine ball is the perfect power training tool! This workout will increase balance, strength and power!